Prior to World War II, Japan was a highly insular society that was wary of outsiders. Nevertheless, Japan made up a significant market for European and American films from the beginning of the century until around the bombing of Pearl Harbor in 1941 (Kirihara, 1996). Despite that, from the 1910s to the mid-1980s, Japan was one of the few countries where American films did not dominate. Part of the reason for this might be the fact that Japan possesses one of the oldest film industries in the world, and is home to both the vertically integrated production company Nikkatsu, which has existed on and off since around 1912, and Shokichu, which began producing films in 1920 and is still in existence to this day, making it one of the world’s oldest major film companies (Kirihara, 1996). More importantly, though, Japanese audiences tended to prefer films that conformed to their own national narrative styles, which were rooted in the traditions of Kabuki and doll theater (Kirihara, 1996). This insularity also kept the rest of the world from being aware of Japanese cinema until after World War II. According to Donald Kirihara (1996), Japanese film production was relatively unknown outside of Japan until films like Rashomon (1950) and The Life of Oharu (1952) were made available to art cinema audiences in the 1950s (Fig. 1). These days, Japan’s film industry is widely regarded as one of the best and most interesting in the world, and directors such as Akira Kurosawa, Kenji Mizoguchi, Yasujirô Ozu, Seijun Suzuki, Takashi Miike, Hideo Nakata, and Kiyoshi Kurosawa are now considered some of the most respected names in international cinema. Fig. 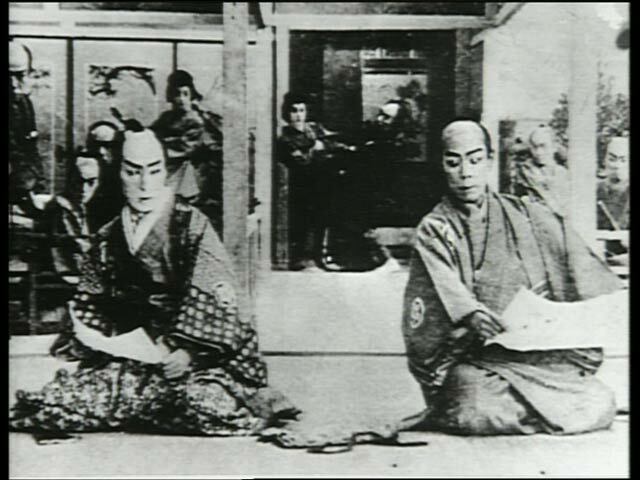 1: For international audiences, films such as Rashomon (left) and Life of Oharu were their first experience with Japanese cinema. According to David Bordwell (1995), Japan was not always an insular society; in the late nineteenth century, the nation opened itself to the West, and t was during this time that Japan began to “redefine its own culture over and against the Europe and America it was coming to know” (p. 14). This period came to be known as the Meiji Period, and it was a time of modernization in areas such as banking and education, as well as military organization and technological growth. There was also a selective assimilation of Western culture during this time, as Japan began to appropriate everything from French-style art, European music, and English, French, and German literature (Bordwell, 1995). It was during this period that “genres of ‘traditional’ culture declined, becoming devotee arts or vessels of nostalgia” (Bordwell, 1995, p. 14). Indeed, by 1900, both “the Noh and Kabuki were largely incomprehensible to the masses,” and interest in film would replace shimpa, a Westernized form of melodrama (Bordwell, 1995, p. 14). Thus, the expansion of mass media would contribute to a contraction of traditional Japanese culture. This period also saw an expansion of the Japanese economy and growth of urban centers, and this led to the creation of a middle class marked by more disposable income, and an appetite for Western popular culture such as magazines, films, music, etc. According to Bordwell (1995), this process of modernization was intensified following the Kanto earthquake of September 1923, which resulted in much of Tokyo being rebuilt and improved (Fig. 2). Gas, water and electricity were more widely installed throughout Japan during this time, and the streets were designed and laid out for auto traffic. More importantly, however, the resulting fires caused by the earthquake burned out many of the urban poor, who fled the central city and allowed the suburbs to grow. This had the effect of allowing the Kanto to become “even more dedicated to business and amusement” (Bordwell, 1995, p. 15). Japanese citizens embraced new pastimes such as playing baseball, listening to the radio and phonograph records, reading American and Japanese comic strips, and following ‘mass novels’ that were serialized in daily newspapers (Bordwell, 1995). Fig. 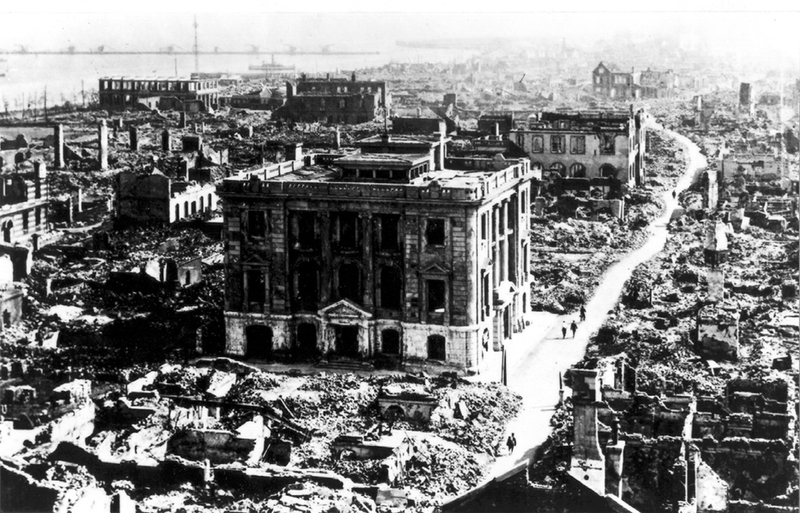 2: The great Kanto earthquake of 1923 wrought much destruction upon Japan, but also led to a period of increased modernization for the entire nation. Bordwell explains that prior to World War I, Japanese films were marked by “a blend of live theatre and film called rensageki” or chain drama (1995, p. 6). In other words, prewar Japanese films were part of a larger performance that combined elements of live theater including stage acts, song recitals, and the inclusion of a live commentator known as a benshi, whose original function was to provide dialogue, and, more importantly, to help Japanese audiences make sense of the film. This was vital since “Imported silent films were never given Japanese intertitles because the nation presented too small a market to make it worthwhile” (Bordwell, 1995, p. 10). As mentioned above, Japanese cinema was thought to play a central role in the decline of traditional Japanese culture, and aided in the increase of modernization throughout the nation. Part of the reason for this can be explained by the 1923 Kanto earthquake, which also accelerated the modernization of Japanese cinema. After the quake, production houses were forced to rebuild, and the modernization process that resulted led to an absorption of Western influence on both comedy and drama during this time. 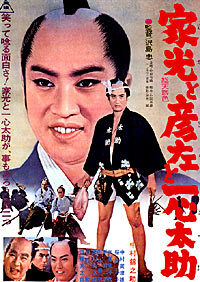 More importantly, cinema was integral to the dissemination of Western style and culture throughout Japan. Indeed, back in Kyoto, director Shōzō Makino “launched a series of samurai films which used the rapid cutting and close framings characteristic of American cinema” (Bordwell, 1995, p. 6). All of this contributed to the decline of traditional Japanese culture, and facilitated the adoption of a more modern, Westernized culture and style (Fig. 3). Fig. 3: In the 1920s, director Shōzō Makino revolutionized Japanese cinema by appropriating Western stylistic techniques in films such as Chushingura (1914). By 1925, Japanese cinematic style was almost completely Westernized, and it remained so until roughly 1945. Darrell William Davis (1996) argues that part of the reason for this is that films of the era were shot using a technology developed outside of Japan’s national borders, one that is primarily associated with the United States and Europe. This in turn informed the way in which the Japanese national identity was conveyed by filmmakers, who were either attempting to emulate Western cinematic styles or were specifically reacting to them. By the mid-1930s, “resistance to Westernization was growing” among Japanese citizens, who began to believe that embracing Western ideals had caused them to lose touch with their indigenous roots (Bordwell, 1995, p. 15). Politically, Japan was moving closer toward military expansion, most notably into China. This period was marked by by the notion that Westernization was something to be rejected, and that it was time for the nation to return to its more traditional roots. This desire was reflected in Japanese cinema, and was the backbone for a cinematic movement that came to be known as the monumental style. Rooted in the propaganda films of the 1930s, the monumental style was a response to the prewar cinema of Japan, which was highly Westernized and existing on the cusp of Japan’s emergence as a modernized and industrialized nation. The monumental style strove to present a uniquely Japanese national identity by canonizing the past, accomplishing this by appropriating traditional aesthetics such as the importance of hierarchical family dynamics, in particular the patriarchal structure of the way of the warrior, known as bushido in Japan. These were then imposed upon the Western technical style, to create something that is “recognizably Japanese” (Davis, 1996), That is, the norms of the West provided a framework within which more distinctively “Japanese” elements could be situated. Then, in 1941, Japanese military policy would be dictated by an official edict known as The Way of the Subject (Bordwell, 1995). This states that, “It is an urgent matter for Japan to realize the establishment of a structure of national unanimity in politics, economy, culture, education, and all other realms of national life.” In other words, it was time for Japan to return to a more traditional way of life and culture, and this notion would serve as the foundation of Japanese national policy for years to come. This return to traditional Japanese cultural is most evident when looking at the kokusaku, or national policy films which presented an idealized vision of life in Japan in the 1930s (Bordwell, 1995). These films were often overtly propagandistic, influenced by newsreel footage, inspired by accounts of battlefield heroism, and regarded as the proper bearers of the invincible spirit of Japanese fortitude (Davis, 1996). The monumental style was also comprised of combat films, which ranged from the more “humanistic” war films of the late 1930s to the more spectacular battlefront sagas that followed. Davis (1996) explains that the dominant strain in all these genres was a sense of spirit-ism, known as seishinshugi in Japan, and this was defined through portrayals of prized Japanese ideals such as patience, endurance, courage, loyalty and dedication to nation and emperor (Fig. 4). Fig. 4: Films like Hasegawa Roppa no Iemitsu to Hikoza (1941) were meant to foster a sense of nationalism among Japanese audiences. There were also a number of straight up propaganda films produced during this period, and these films presented the hostilities of war and militarism as a means to regain a lost moral and racial purity. They also promoted values such as quiet stoicism and a determination to win the war, which was depicted as exciting and necessary through battle scenes that were accentuated by dynamic camera movements and rapid editing. More importantly, though, these propaganda films rarely presented or even mentioned the enemy; battles were often filmed simply from the Japanese side, showing no opposing soldiers, and when a battle was won, the scene would fade out before the Japanese were shown taking the territory and seizing prisoners. This is indicative of Japan’s increasingly isolationist tendencies during this period. In 1937, the Japanese Home Ministry began placing constraints upon what could and could not be represented in Japanese films. Directors of the period were urged not to ridicule the military, demoralize the citizenry, promote hedonism, or, perhaps most significantly, not to “exaggerate the cruelties of war with overly realistic depictions” (High, 2003, p. 99). According to Bordwell, “Offending films could be cut or banned, so directors of that time may have steered to the side of safety by simply keeping carnage off screen” (1996, p.28). Thus, war was made more palatable to Japanese citizens via sanitized cinematic representations, and this undoubtedly eased the transition into militarism. The bombing of Hiroshima and Nagasaki in August of 1945 brought about the end of World War II, which had been raging for nearly 10 years at that point, ever since Japan invaded China in 1937. Following this, Japan was occupied by the Allied Powers from August 1945 and until about April 1952. General MacArthur served as the nation’s first Supreme Commander, and the entire occupation was mainly carried out by the United States. During this time, “Japan’s media was subject to a rigid censorship of any anti-American statements and controversial topics such as the race issue,” especially during the first half of the occupation. (Japan Guide, 2002, online). Furthermore, there was a concerted effort by US officials to “re-educate the postwar Japanese population” while prohibiting the media from depicting either “anti-social” behavior or the occupation itself (Broderick, 1996, p. 9). More importantly, images of the atomic bomb could only be shown in the context of “a strategic instrument which was the only way to end the war” (Broderick, 1996, p. 9). In fact, the visual effect of the bomb was to be avoided entirely in Japanese films for year, and the same went for any representation of civilian victims or any sort of dramatic scenario that might remind “Japanese audiences that they were under occupation” (Broderick, 1996, p. 9). According to Broderick, there are countless examples of occupation censors altering or putting an end to projects because they dared to contextualize of the bombings in ways that ran counter to “the official reasons for their use” (1996, p. 10). The years during and after the occupation also saw Japanese government officials impose a sort of covert censorship on many of the films that sought to examine the bombings (Broderick, 1996). Pressure was placed on the large distribution companies to either “not release films, or to relegate them to obscure suburban theatres while distorting their marketing campaigns to make them less appealing” (Broderick, 1996). As a result, until about 1961, nearly all bomb films were independent productions made outside the Japanese film industry proper (Broderick, 1996). As an example of this, Broderick points to Children of the Atom Bomb (1952, aka Children of Hiroshima), directed by Shindô Kaneto (a former resident of Hiroshima though not a hibakusha). Kaneto shot the film on location, and released it on August 6, 1952 as a way to commemorate Hiroshima Memorial Day (Fig. 5). Fig. 5: With Children of the Atom Bomb (1952), director Shindô Kaneto tackled the trauma of Hiroshima and Nagasaki head on. This would lead to a number of films that explicitly avoided addressing any “issues of Japanese responsibilities for its own wartime behavior” (Broderick, 1996, p. 12). This is especially evident when looking at films released during the late 1980s and throughout the 1990s, which saw the release of films such as Black Rain (1989), Dreams (1990), Rhapsody in August (1991), all of which sought to address the trauma of World War II, but left out any indication of Japan’s sense of culpability or responsibility (Fig. 6). Fig. 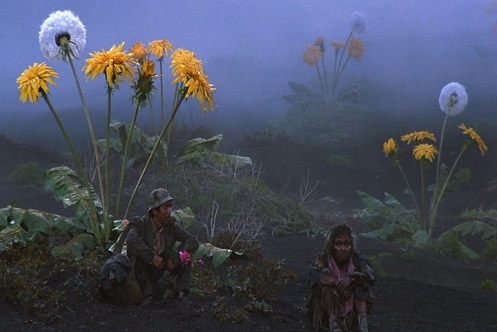 6: Films such as Akira Kurosawa’s Dreams (1990) make use of apocalyptic imagery to explore issues of national trauma. Nevertheless, beginning in the 1950s, nearly every Japanese film was concerned with exploring the bombings of Hiroshima and Nagasaki in one form or another. For example, films like Barefoot Gen (1983) and the aforementioned Black Rain endeavored to explore the horrors of war head on, focusing specifically on the Hiroshima bombing, in an attempt to convey the toll that war takes on humanity (Fig. 7). Other films attempted to reconcile those horrors with a return to normality, such as that which is depicted in Tokyo Story (1953). Fig. 7: Films like Barefoot Gen (left) and Black Rain depict the horrors of war in graphic fashion. Meanwhile, films like Frankenstein Conquers the World (1965) and Blood Type Blue (1978, aka Blue Christmas) would use science fiction and fantasy to explore the hazardous effects of radiation on people. Indeed, science fiction/fantasy films in particular were used as a way of “exorcising the mass trauma associated with the use of nuclear weapons and their possible use in future conflicts” (Broderick, 1996, p. 6). In fact, Susan Sontag argues that iconic screen monsters such as Godzilla and Rodan, along with the alien invaders/emissaries they battle serve to “reflect world-wide anxieties, and serve to allay them” (Broderick, 1996, p. 6). Similarly, anime is so popular among Japanese audiences (not to mention a growing international audience) that the Japanese nuclear industry made use of an animated mascot named Plutonium Boy in order to “peddle their fast-breeder nuclear program to the local population” (Broderick, 1996 ,p. 8). The character proved to be so popular that authorities eventually had to intervene and remove the ads because of how they were being used to “educate” audiences, particularly young children, of the “benefits of stockpiling plutonium in Japan and dismiss as fantasy fears of nuclear contamination” (Broderick, 1996, p. 8). Nevertheless, explicitly explosive imagery continued to make appearances in anime for years afterward (Fig. 8). One of the most prominent examples is Katsuhiro Otomo‘s Akira (1988), which is situated “squarely within poststructuralist theory” to present a “postnuclear, postmodern fantasy of liberation and empowerment for Japanese youth” (Broderick, 1996, p. 8). Additionally, anime films of the 1980s frequently depict themes of ecological rebirth following nuclear devastation in films such as Hayao Miyazaki’s Nausicaa of the Valley of the Wind (1984). There are also numerous anime films that deal directly with the aftermath of the atomic bomb, such as the aforementioned Barefoot Gen, or the harrowing classic Grave of the Fireflies (1988), which was originally released as part of a double bill with the much gentler My Neighbor Totoro (1988). Fig. 8: Anime films such as Akira (1988) often use explosive imagery to evoke and address the trauma of Hiroshima and Nagasaki. Indeed, the idea of the apocalypse looms large in Japanese culture, and this compulsion manifests itself in countless films, including Akira Kurosawa’s Dreams and Shûe Matsubayashi’s The Last War (1961). This apocalyptic imagery even impacts films set during peacetime, and can be seen in the “repeated motifs of closure” that appear throughout yakuza (gangster) cinema (Broderick, 1996, p. 3). Many yakuza films will contain images of the ruined atomic monument in Hiroshima, and this is meant to symbolize “the yakuza‘s nihilistic world headed for oblivion, often juxtaposed with ‘futile’ and ‘absurd’ pre-war notions of imperialism and honor” (Broderick, 1996, p. 3). Indeed, many Japanese people associate Hiroshima with the yakuza, thanks to classic gangster films such as Battles Without Honor and Humanity (1973) and its four sequels, which were set in the city of Hiroshima and incorporate imagery of the Hiroshima Peace Memorial. Finally, it is impossible to talk about postwar Japanese cinema with out at least mentioning Godzilla (1954), which is probably Japan’s most well-known cinematic export, but it is also a sober examination of the effect that the bombings of Hiroshima and Nagasaki had on Japanese culture as a whole (Fig. 9). Broderick argues that the Godzilla films position the United States as the Other, but that this fact has been largely masked by Hollywood through the years (1996, p. 56). 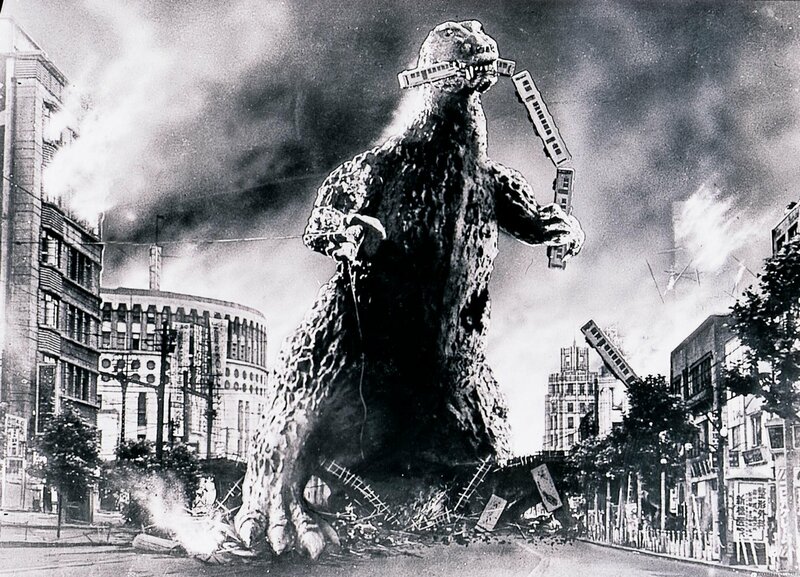 Indeed, the American release of Godzilla conformed to the rules laid down by the Allied forces during the postwar occupation of Japan, and any explicit reference to the atomic bomb was removed from the film. Nevertheless, the original film tackled the bombings head-on through numerous reference to the real world events that were connected to the bombings, such as Tokyo being engulfed in a sea of fire during Godzilla’s rampage, or the Japanese military being overwhelmed by a superior enemy (Brothers, 2011). According to Broderick (1996), Godzilla allows Japanese audiences to contextualize their anxieties about the events at Hiroshima and Nagasaki, and that the monster itself serves as a manifestation of the idea that those who forget the past are condemned to repeat it. Fig. 9: Godzilla is not only Japan’s most recognizable cinematic export, but also an enduring reminder of the trauma of Hiroshima and Nagasaki. While it cannot be claimed that all postwar Japanese films explicitly explore the trauma of the bombings of Hiroshima and Nagasaki, it is obvious that the vast majority of them are at least in some way concerned with examining the effects of those horrific events. It is a trend that continues to this day, as films like Hibakusha (2012) and Hibakusha, Our Life to Live (2010) examine how both the Japanese culture and people are still recovering from the impact brought about by the supreme horror of the Atomic Age. More importantly, though, films such as these are concerned with the idea of survival, and how Japan managed to not only survive an apocalypse, but to thrive in the wake of it. That is the most important lesson of postwar Japanese cinema, and one that bears repeating. Bordwell, D. (1995). Visual style in Japanese cinema, 1925-1945. Film History, 7(1), 5-31. Broderick, M. (1996). Hibakusha cinema: Hiroshima, Nagasaki and the nuclear image in Japanese film. New York, NY: Kegan Paul International. Brothers, P. H. (2011). 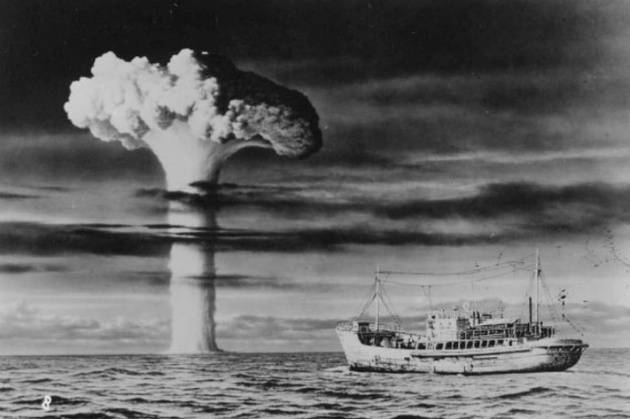 Japan’s nuclear nightmare: How the bomb became a beast called Godzilla. Cineaste, (36), 36-40. Davis, D. W. (1996). Picturing Japaneseness: Monumental style, national identity, Japanese film. New York: Columbia University Press. High, P. B. (2003). The imperial screen: Japanese film culture in the fifteen years’ war, 1931-1945. Madison, WI: The University of Wisconsin Press. Kirihara, D. (1996). Reconstructing Japanese film. In D. Bordwell & N. Carol (Eds. ), Post-Theory: Reconstructing Film Studies (pp. 501-519). Madison, WI: The University of Wisconsin Press. My husband is searching for an early post-war movie. Theme: a soldier returns only to find that he is among the dead on his home’s mantel piece (portrait). Prior to this, he is shown walking through a tunnel. He hears his platoon behind him. When he turns, they tell him, that he should be among them, the audience thinks that he is alive (but in reality he is dead). To me, it seems that we are viewing this film from a dead soldier’s point of view. Of course, that’s from 1990 rather than the early post-war period, so it’s probably not the one you’re looking for. This is a useful article I can use for my academic paper. Wondering how can I cite this in MLA. If you’re asking if you can cite it, certainly. If you’re asking how the citation should look, I think it would be something like this: Olson, Christopher J. “A Brief History of Postwar Japanese Cinema.” Seems Obvious to Me. WordPress, 09 Dec. 2014. Web. 05 Nov. 2016. Do you mind if I ask what your source is for Clif Ganyard quote is? I’m writing an academic paper on a similar subject and that seems like exactly the kind of thing I would use. Sure…I know Clif personally (he was one of my professors during my undergrad studies), and he said this at a screening of Kurosawa’s Rhapsody in August. Be aware that he believes that someone else may have said that elsewhere, and that he possibly picked up the idea that way. Best of luck with your paper! Hey thanks for the answer, I might not use that quote as it might be tricky to reference however I was wondering if you had any idea where I might find the Mick Broderick book (‘Hibakusha Cinema’) which you use at multiple occasions in this essay? I’ve scoured my local libraries (I live in London) and the internet but can’t find anything decent. I’m afraid not, as it seems to be out of print at the moment. I’m pretty sure I just got it from the university library at DePaul, where I was working on my Master’s Degree. I’m sorry. Best of luck! Hotaru no Haka is not about the atomic bomb. It’s set in Kobe.